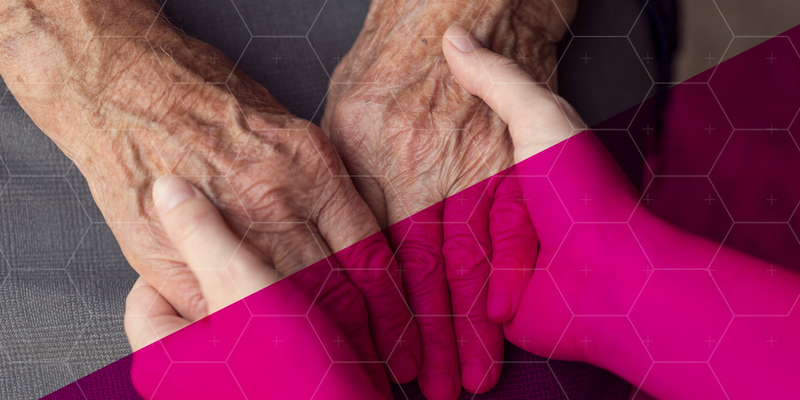 As part of National Healthcare Decisions Day, Xavier Creative House sat down with Looking Ahead for a more in-depth discussion about advanced care planning. Looking Ahead: Advance Healthcare Planning’s mission is to teach and promote advance care planning (ACP) and to participate at the one-on-one level as a means to enhance personal healthcare and lifecare decisions before the need arises. Betsy Payn, Executive Director of Looking Ahead, is a career-long eldercare nurse with a clinical nurse specialist degree in Gerontology and a background in home health-care, hospice, and palliative care. An advocate for preparing end-of-life care plans, she sat down with Xavier Creative House to speak about advance care planning. Sunny White, CEO of Xavier Creative House, sits on the Board of Looking Ahead. Betsy: Looking Ahead provides advance care planning which is the process of understanding what your choices for future healthcare would be in situations where you are unable to speak for yourself. We guide individuals through a conversation that enables them to discuss and document their wishes, and then we help ensure the documents are shared with loved ones and healthcare providers. This document is called an advance healthcare directive, which incorporates a living will with treatment choices and a healthcare power of attorney naming a healthcare proxy. XCH: What does not being able to speak for yourself mean? Is it defined by a doctor or your medical situation? Betsy: Living wills go into effect only when a physician certifies the patient to be incompetent—incapable of communicating choices for care—and having an end-stage medical condition or permanent unconsciousness. An example of an end-stage condition for a young adult might be a traumatic car accident that leaves them with significant brain trauma and injuries that are not reversible. So yes, this is defined by your medical situation and a physician. Equally important, if not more so, is the designation of a healthcare power of attorney which names someone you trust to speak on your behalf if you are unable to speak for yourself. XCH: So it sounds like young adults need to be aware. How soon is too soon? Can you be too young? Betsy: No, you are never too young. When you are 18 and a legal adult you have the right to explore your wishes in a reaction to the “what-ifs.” Every adult needs to take the time to think about what their wishes would be, and to discuss those wishes with loved ones. An advance directive is not a once-and-done deal. It’s a document that should be reviewed and updated over time, particularly as situations change. XCH: When is a good time to stop and reflect? XCH: I imagine you would encounter resistance from family members who may not want to talk about this? Betsy: Yes, it’s what keeps many people—young adult children as well as the older parent—from raising the topic. A good way to begin is with conversation starters, such as magazine articles, movies, news articles, even a personal event, to frame the conversation. An example might be to say, “Even though I’m healthy now, I’m worried that this might happen, and I want to be prepared.” Look for the right moment and the right setting. Try to initiate these conversations when it is calm and when you are well—not when you are in crisis. Encountering resistance is common, and it may be uncomfortable at the beginning, but you just need to start. Once the issue is on the table and discussion’s begun, family members and the individual most often feel a great sense of relief. XCH: How can healthcare providers offer resources for advance care planning? Betsy: First, by recognizing the importance of advance care planning and helping to normalize the process. When healthcare providers imbed it in routine medical care, they help to dispel some of the misunderstandings and reluctance to address future care. It helps to have educational literature on hand and be able to direct patients to available resources for planning guidance, whether in-practice or in the community. XCH: How can legal and religious providers offer resources for advance care planning? Betsy: Perhaps the best way for legal and religious providers to support advance care planning is to understand the process for their state and be able to direct people to resources for planning guidance. Many individuals complete advance directives with a lawyer as part of their estate planning. If the advance directive is to fulfill its purpose, however, it must be shared with family and healthcare providers, not filed away with estate documents—as too often happens. This is important to know: an advance directive does not need to be completed by an attorney, only witnessed by an adult who isn’t the healthcare agent. In some states—though not PA—it must be notarized. XCH: Is there anything else you’d like to add? Betsy: Making decisions about end-of-life options can be scary and intensely uncomfortable for many different reasons. So remember to use gentle words when you raise the topic. Be sensitive. But I’ve found that almost everyone who has these conversations experiences relief and gratitude that they’ve taken the time to ensure their wishes will be honored.